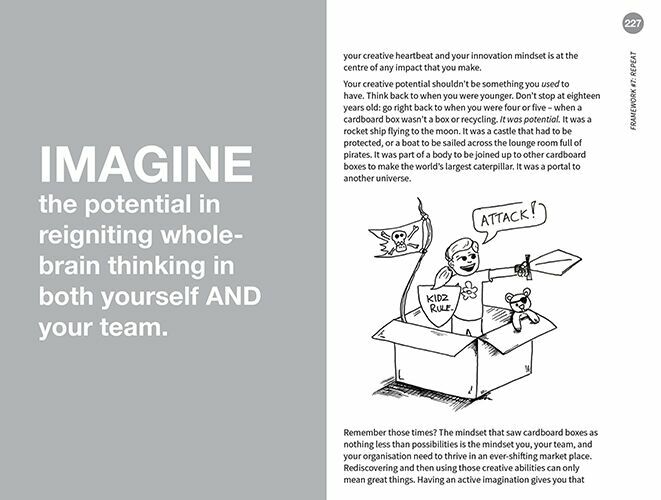 A Thousand Little Lightbulbs provides a fun, practical, BS free guide to dealing with your creative OGRE, taking off the blinkers and leveraging the greatest innovation tool in your business: your people. 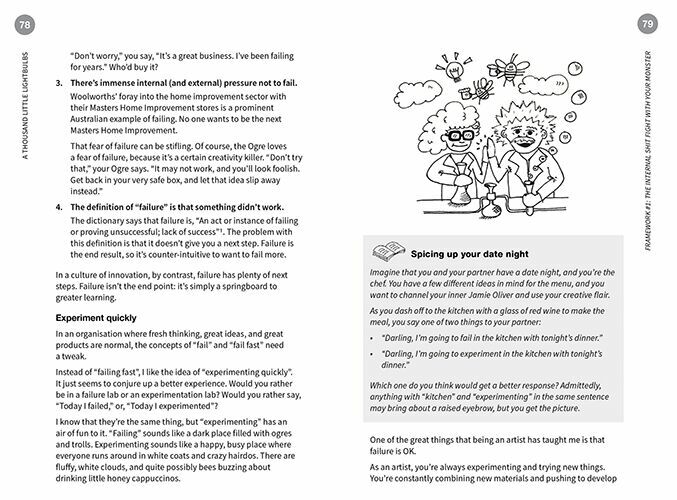 If you’re interested in unlocking potential, having a constant stream of fresh thinking, great ideas and having some fun in the process, this book is for you. 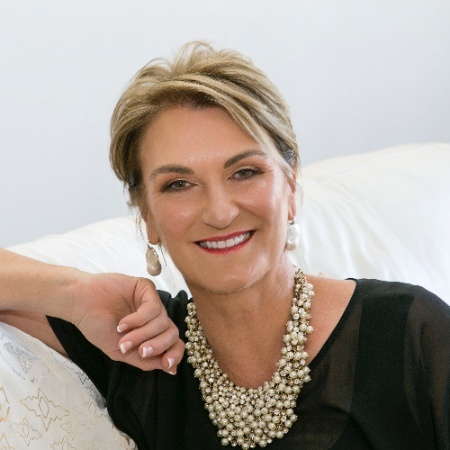 Develop your curiosity and deliver a constant stream of fresh thinking and great ideas, without taking off in a gypsy caravan or roasting your own coffee from single origin, hand-picked beans. How to enable your team to thrive and fulfill their innovation potential so they see more possibilities than ever before. Create a culture where people and innovation thrive, along with brilliant ideas, market-leading thinking, products and results. This is no ordinary book... take a look at the book that'll blow your socks off with creative, fun ideas that get you the results you've been for years without the tears. 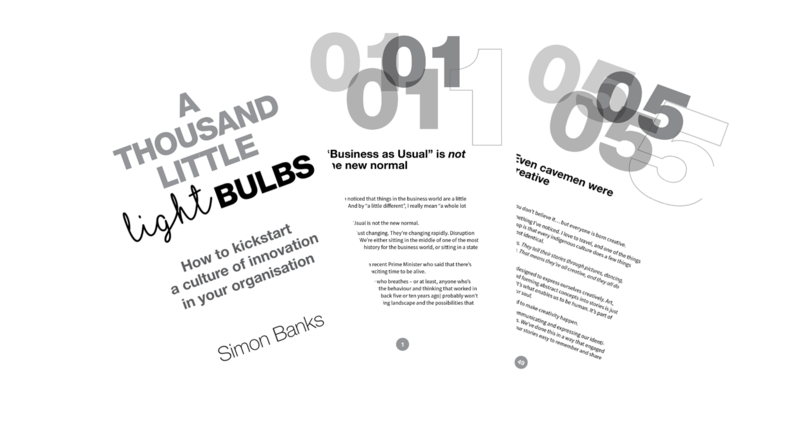 In 1000 Little Lightbulbs, you’ll find Simon’s seven simple steps to kick start a culture of innovation in your organisation that combine his experiences mashing up the creative and corporate landscapes. With that in mind, Simon brings you a framework to use in your everyday work life. It’s not a one-off corporate day out or team building exercise that falls flat when whitewater rafting fails to translate to your management meeting. It’s full of ideas you can implement today, and build into your way of doing things into the future, no matter what. Dance with your Ogre. This is where innovation often stops before it even begins! 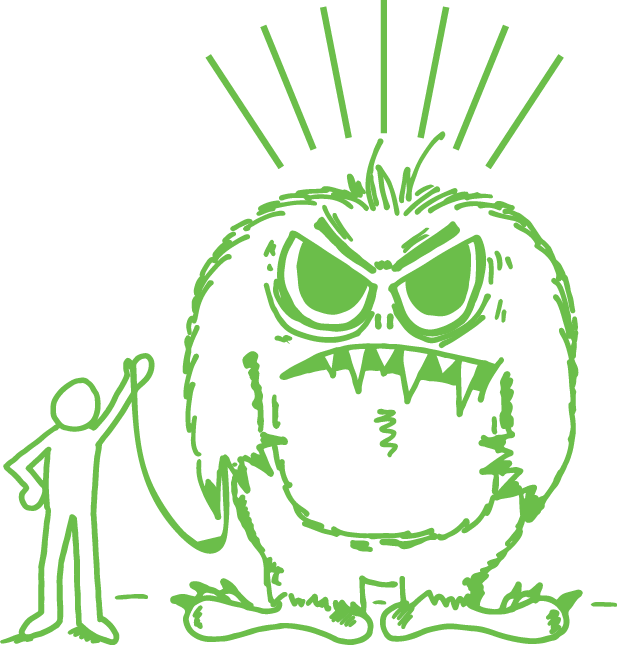 Acknowledge your monster. Get laughter happening, have some fun, and be ready for the challenge. 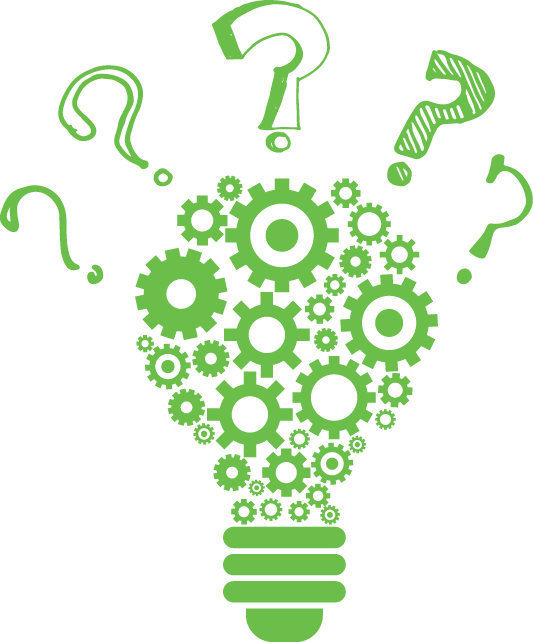 Energy, fun, humour, and good vibes are all essential parts of the innovation process. Get your language right. Many potential great ideas and products are killed by language the moment they’re mentioned. Language drives thinking, which drives behaviour – and behaviour drives results. You need to replace the words “no” “ and “but” with “yes” and “and”. So, what’s the problem? Innovation starts with a problem, not an idea. Get really clear on the problem you’re trying to solve before you try to solve it. 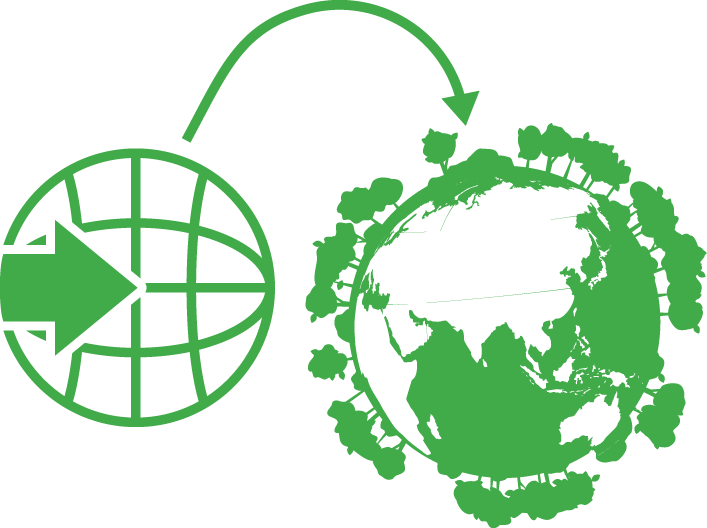 Keep asking “why?” to get to the heart of the issue, and keep focusing on the end user! Explore your idea. Go really, really wide in your thinking before you go deep. Great stimulation in = great ideas out. To get really clear on what your problem is, leverage as many different approaches and styles as you can. Overload your senses with multiple forms of stimulation, and have some fun. Prototype and test it. Get real with your idea and mock it up. Draw it out, cut and paste it, build it, make it visual, but whatever you do, create something tangible that people can interact with. Get real. What’s working here? What’s missing? Where would this stumble? Pitch it.Every idea needs a commercial blowtorch applied to it. Add some deadlines, and pitch. 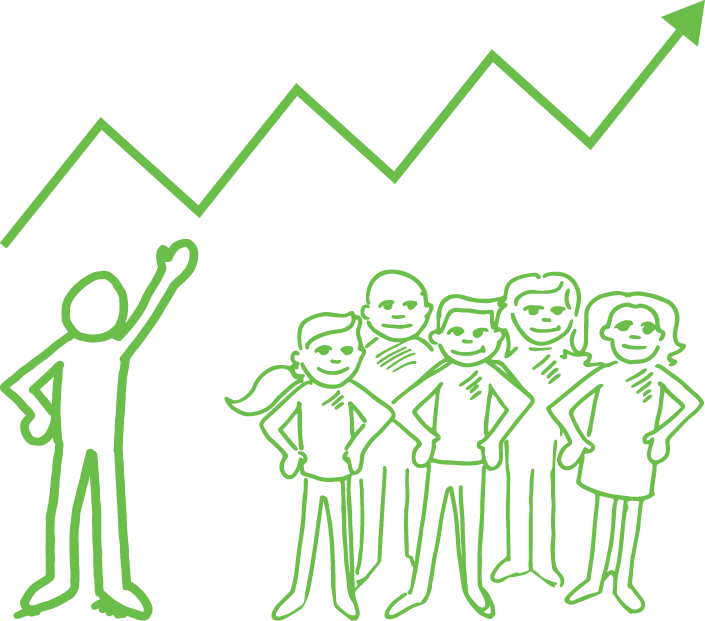 Be ready to tell people what’s great about your idea, and embrace feedback and different perspectives. Repeat. The process of innovation is never-ending. So you need a never-ending curiosity and energy to make great stuff happen. 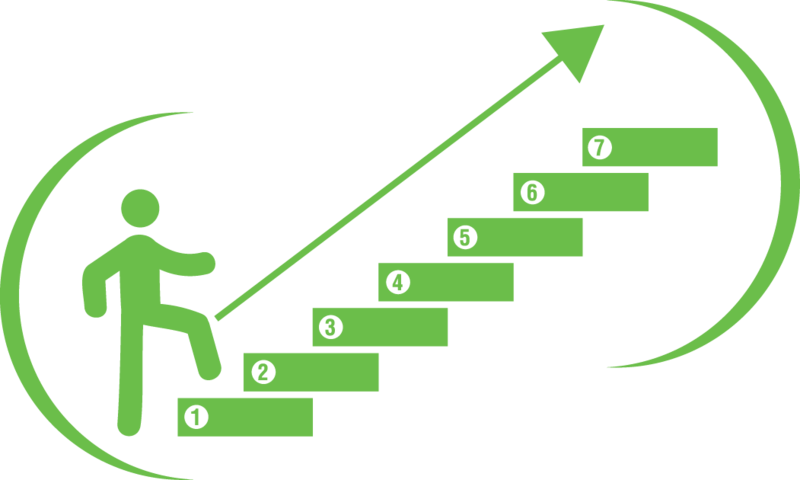 "Repeat" is the new mantra for a culture of innovation. GET YOUR FREE CHAPTERS NOW! 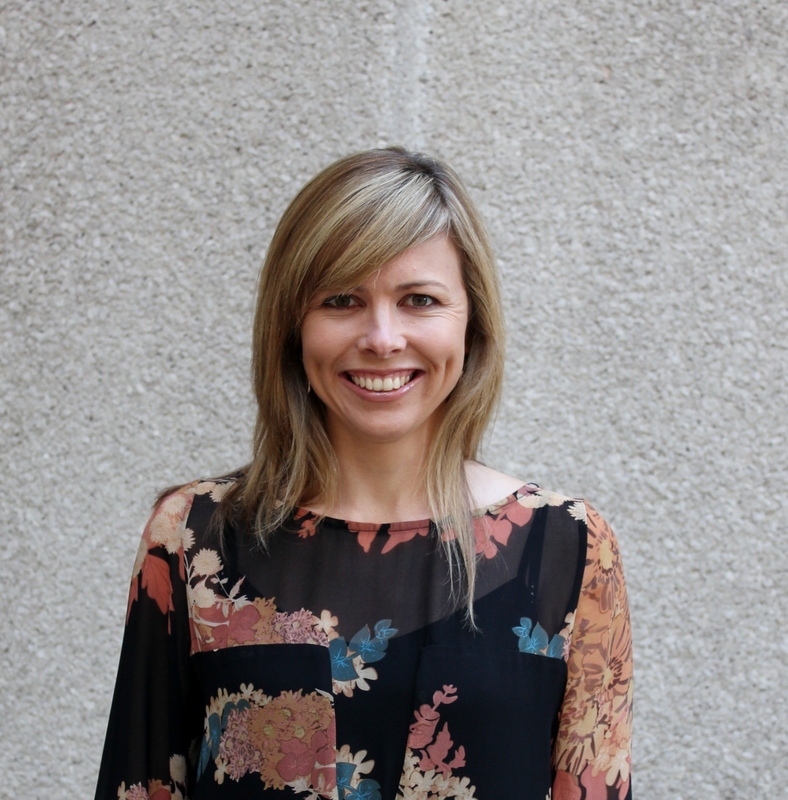 Professional, Engaging, Creative, Experienced, Enthusiastic, Energetic… …and FUN! 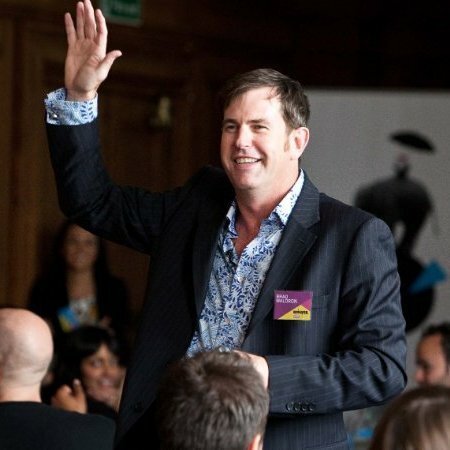 Simon is a sought-after speaker, author, and thought leader in business innovation and creativity. His characteristic vim and vigour leaps off the page and engages your mind, and keeps you there for the ride. And his unique blend of energetic enthusiasm, creativity and humour guarantees that this book will live on in your memory for all the right reasons. 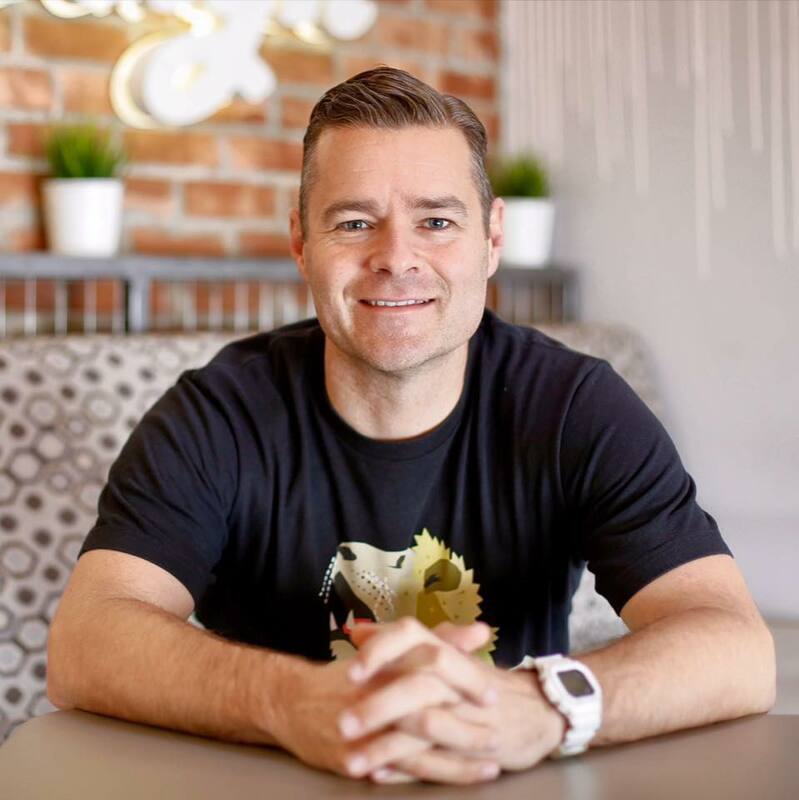 Simon marries his innate creative abilities with an extensive knowledge of the corporate world to ignite fresh, innovative thinking that lasts long after you’ve finished implementing these brilliant ideas. Now based in Sydney, Simon loves to travel and live life to the fullest. When he’s not presenting, he can often be found chasing his three young kids, creating and illustrating in his studio, surfing, and finding new adventures with his family. 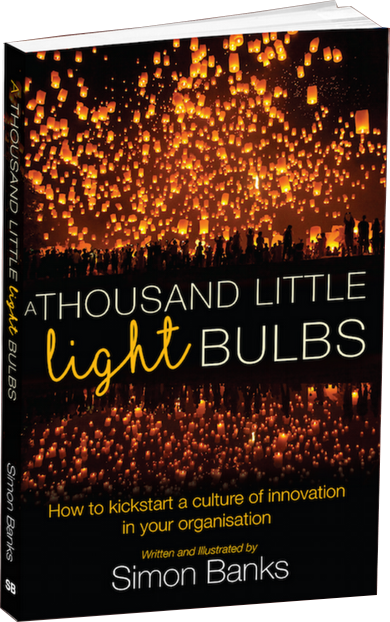 A Thousand Little Light Bulbs is an insightful commentary on the ‘why?’, ‘how?’ and ‘what?’ of innovation. Simon's book is artfully crafted, well-researched, easy to read and practical. 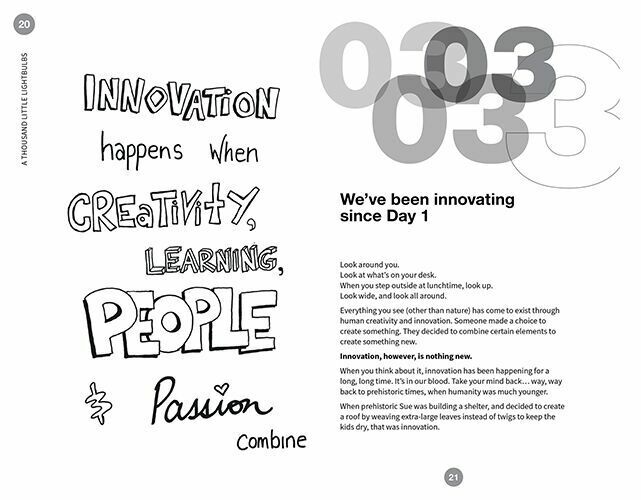 The mantra of people, people and people and the innovation framework are two key takeaways from his text. 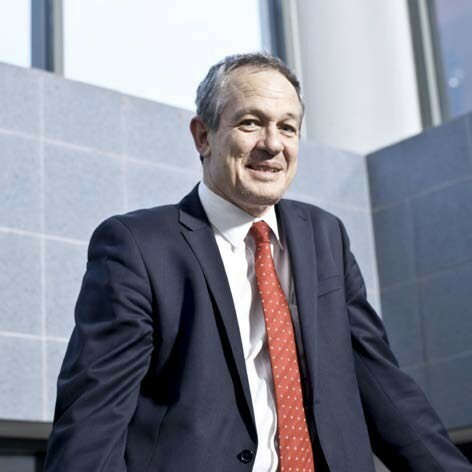 Dr Stephen Brown International Leadership Expert; Strategist; Policy Advisor; Specialist in Change Management and Organisational Development; Experienced CEO and Executive. Simon Banks has given us the shake-up we need to stop thinking about innovation as something done by people in the funky part of the office using design tools. This is genuinely fresh thinking about how businesses prepare themselves for the future by unleashing the imaginations of their workforces. It's transformational, for individuals and companies, because it reframes the process of innovation to address the fundamental barrier - the ogre within telling us ‘no’. 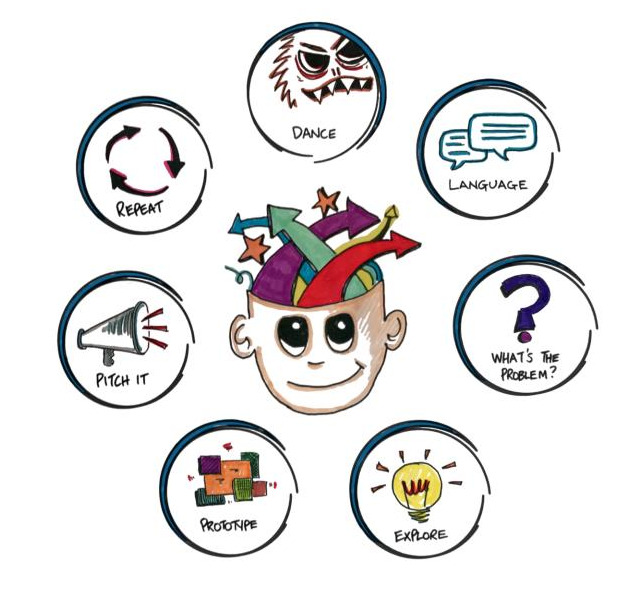 Feel the creativity return as a thousand little light bulbs go off in your brain from page one to the first step you take down the innovation highway. Enjoy! It's not often you get to read a book that entertains as well as gives you fresh insights along with a framework. Simon has written a book that tackles the emotional aspects and skill sets that makes innovation something everyone can do - and what makes it engaging is the style it's written in. This book paints a very clear statistical set of reasons why my business needs innovation NOW. I have learnt how I can slay innovation Ogres, it's given my cat a purpose and is choc full of innovation tools. Simon illustrates with countless examples of great Aussie mindsets of how to make innovation feasible and achievable - no matter how you rate your creativity. 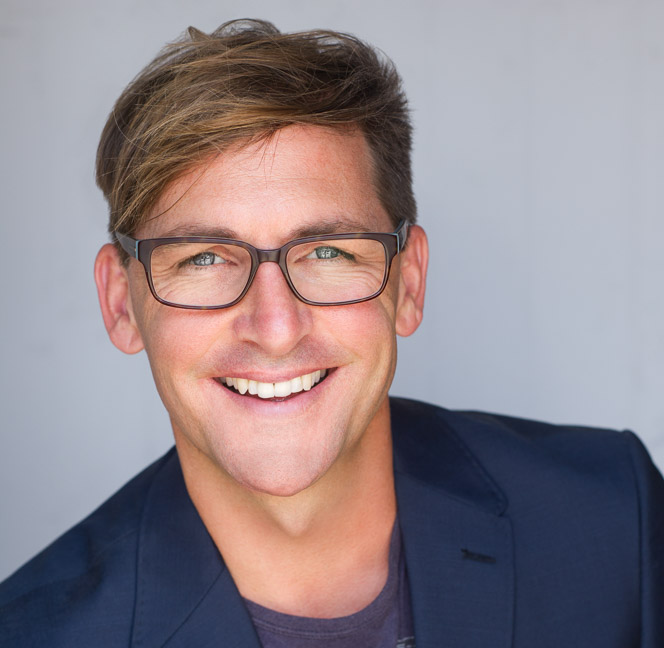 Brad Waldron, Author of “How to Present Naked”, CEO, Leading World Class Speaker and Facilitator"
Simon Banks is a man passionate about a topic critical to Australia's future: people and creativity. How grateful can we be that he has taken his wealth of knowledge and condensed it in an easy-to-read book that is fun, cuts to the chase and contributes in a thousand little ways. The ‘answer’ may be rarely that simple, but Simon leads the way to finding it and I would recommend this book to anyone at any level. It is a superb read. Simon's book is so much more than a thousand little light bulbs. He brings his signature spark and energy to awaken business leaders. This book is a manifesto for thinking differently. His expert innovation advice serves as a call to action. 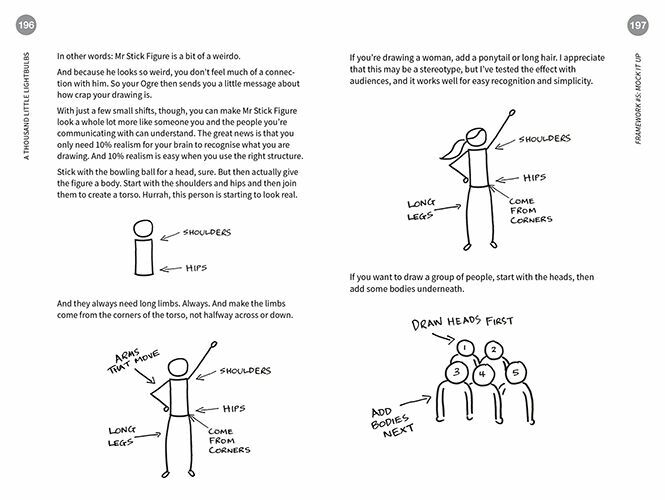 With this book, you can unlock your creativity today. Ready to get your book now? 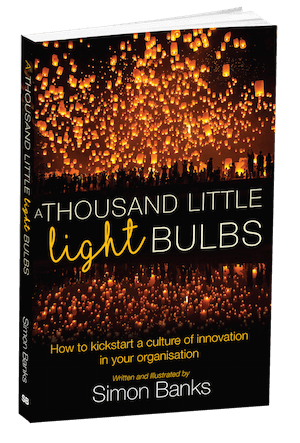 Then A Thousand Little LIghtbulbs: How to kickstart a culture of innovation in your organisation is for you. GIVE ME THE BOOK NOW! Kickstarting a culture of innovation can feel pretty hard. 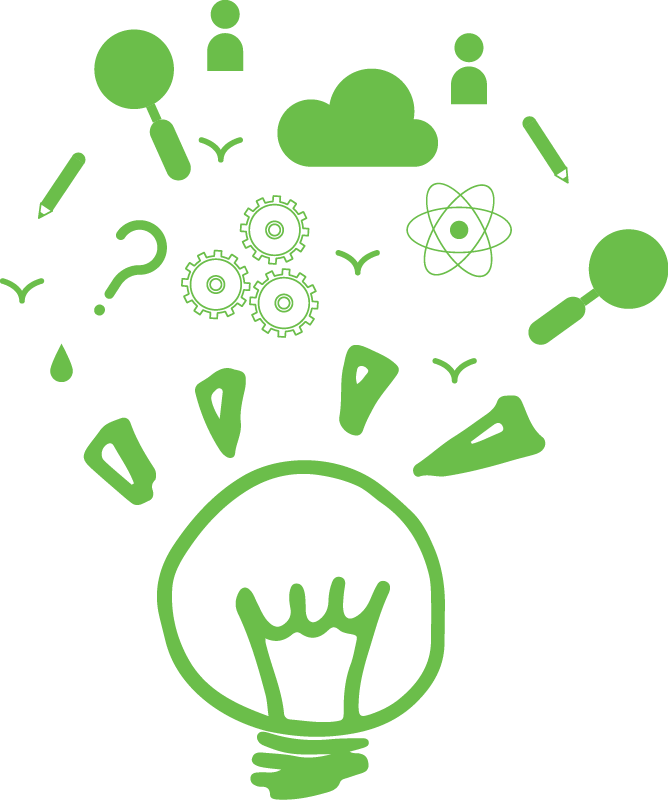 Innovation’s where the good stuff – and your future - happens. You can’t afford to miss out. Here’s to making creativity, curiosity and imagination a normal part of your day. Great times are ahead. Enjoy the read.